Embedded resilience - keep operations up and running even when multiple system components fail. 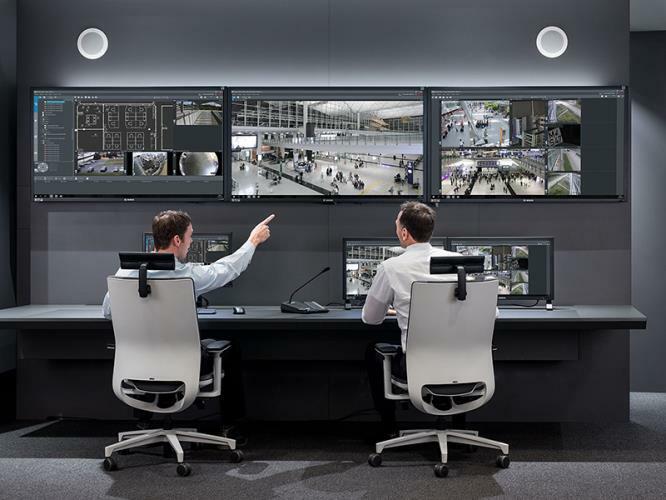 Reduced total costs of ownership - manage up to 2000 cameras with a single server to reduce installation and operating costs. Bosch video at its best - the best user-experience combining Bosch cameras with BVMS. Integration - integrate third-party cameras, storage and further systems into BVMS. IT environments and data security - benefit from full IT compatibility from installation to day-to-day management in a secure way. Configuration manual English, German, Dutch, Italian, Portuguese, French, Spanish, Simplified Chinese, Traditional Chinese, Russian, Czech, Greek, Polish, Swedish, Turkish and Korean. Operation manual English, German, Dutch, Italian, Portuguese, French, Spanish, Simplified Chinese, Traditional Chinese, Russian, Czech, Greek, Polish, Swedish, Turkish and Korean. Bosch Video Management System provides seamless integration of digital video, audio, and data across any IP network.